This is just a cool little detail part. 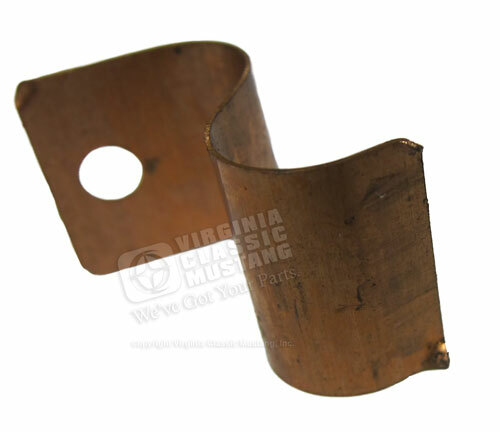 It is the radio supression brass strap that is mounted on the cowl on the 1967 and 1968 Mustangs. These original straps are often missing, bent or discolored. It is often very difficult to find a good, used one. Now you can buy this brand new part that is an exact reproduction of the original. It also comes with the correct mounting screw. 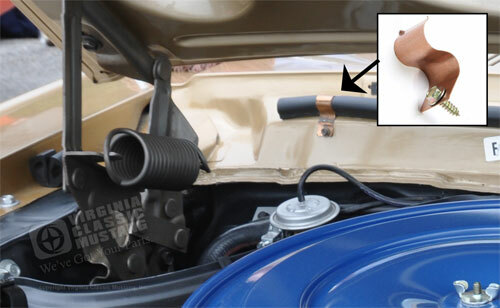 Ford calls it a Hood Bonding Radio Receiver Strap. The original Ford part number is C5AA-18870-A. This strap was also installed on some Cougar models. 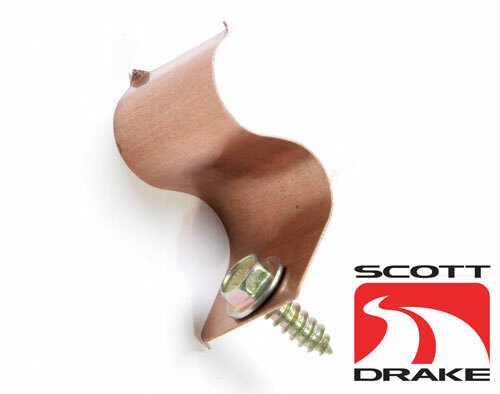 Click the more images link above to see one installed on a 68 Mustang.